Teaching children how to eat without wasting their food is not be easy, for you or them. Tots up to a certain age generally leave an entire buffet on the floor; nibbles that have been flicked, thrown, spat, dribbled, tossed and swept aside! It takes a while for children to reach the point where they realise that the aim is to get all of the food into the mouth! For the good of your children you should try to teach them about the importance of not wasting food, because being wasteful with food could spread to wastefulness with money, time, and other important parts of life as they develop. Children are born to be selfish little creatures: they don’t care about your wallet or the environment unless you teach them to. There are a variety of reasons why children waste food. They might be fussy eaters, for example, who just don't want the food you’re serving to them. They might not like the colour, shape, texture or smell of the food on their plate. Perhaps they are just over-tired or worried about something, and so have lost their appetite. They might go through phases where they like just one food and nothing else for a while, or one type of food only. I once taught a little boy who existed eating only digestive biscuits and white bread for about 3 months!! The way to combat this, at least initially, is not to force them to eat anything otherwise you run the risk of turning meal times into a battlefield. As Mumsnet advises, children are good at taking nutrition from a limited number of foods, so gradually placing a little pile of fruit and veg on their plate – taken from your meal if necessary – might be enough to build up a liking over time. Consult the doctor if you are really worried, but on the whole children are tough little cookies. It can take many tastes of a food before a child will truly know whether or not they like it or not, so persevere and keep offering foods even if they have rejected them in the past. A second reason why your children might be wasting food is the sheer scale of whats available in the cupboard and fridge. Most households have a huge stock of food, and some of us buy in bulk - BOGOF offers and the such often mean we have a plethora of food that we can't always get through - our eyes can be bigger than our bellies - and we may end up wasting unused/out of date foods that we'd not gotten round to eating. Children on the whole lead by example, so if a child repeatedly sees food being thrown away by parents then they will regard it as normal behaviour. Also the sheer volume of choice when it comes to food could be too overwhelming for some children, so they'd rather bow out and not have anything at all. If your child seems overwhelmed by choice, then try limiting the types and quantity of food you offer, a simple choice of plain foods to begin with, and then slowly introduce new and more elaborate choices over time. As parents, we have to set the agenda by paying attention to ‘best before’ and ‘use by’ dates of the foods we buy, planning out meals at the start of the week, and generally eating in a more conscientious manner. If we involve our children in choosing the food and helping to cooking it they are much more likely to cooperate when it comes to eating it. If you get stuck with ideas for what to cook your family then there are some great family recipes on ao.com. Let's teach our children to have a real appreciation for food, especially healthy produce. Perhaps you could start a small veg patch so your children can learn about growing healthy vegetables at home, or if space is limited why not make an indoor herb garden that they can help to cultivate: their job could be to pick and chop the herbs come dinner time. They will enjoy the seed to plate process and learn so much from it - no more of this children not knowing that chips are made from potatoes malarkey! Make sure you talk to them regularly about food - what they enjoy, what they eat at school or at friends houses etc. If your child says a friend is raving about something they eat at their home, then try to recreate it for them - make food and healthy eating part of your everyday conversation and soon they'll be willing to try almost anything! 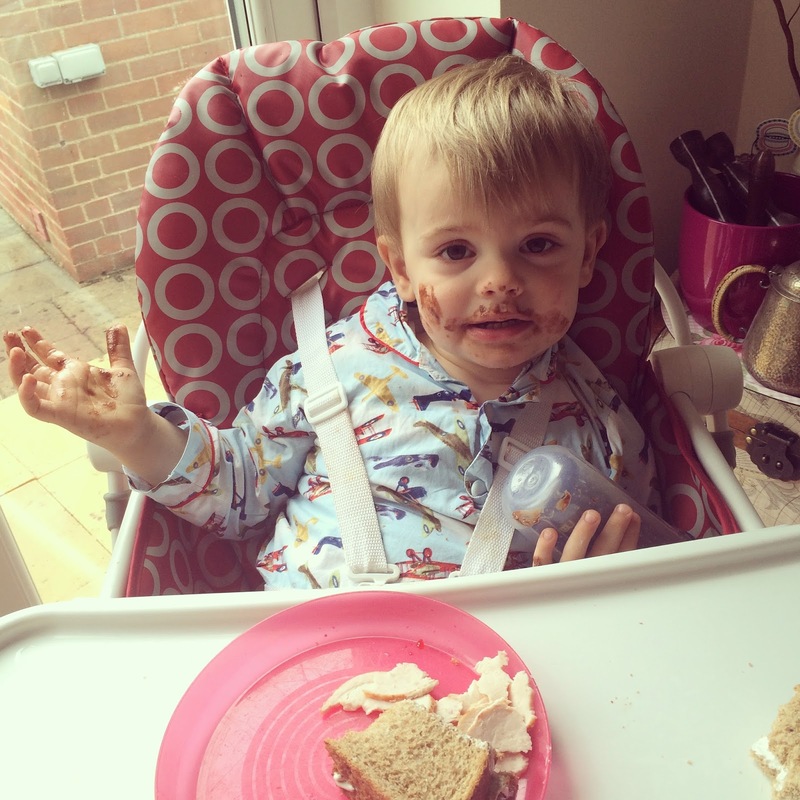 There are, of course, other little idiosyncrasies our children do which can drive us to distraction such as grabbing a food they like and just eating a couple of mouthfuls before throwing the rest in the bin. Oh how that frustrates me, but there are a few ways you can deal with it...If you can put the food in the fridge or freezer to preserve it until they or someone else are ready to eat it , then do so. A carton of orange juice, for example, could be frozen to make ice lollies. Crisps could be crumbled on the top of a pasta bake for dinner, or could be placed inside sandwiches to add texture. Obviously, the best case scenario is that you can teach your youngster to not open the packet in the first place, unless of course they really are hungry and won't waste the item. Lastly, it's important to show them the long-term implications of food waste. The UK wastes 7 million tonnes of food and drink a year, and more than half of this is food and drink that could have been eaten! It really is staggering! And that is only a small part of the 1.5-2 billion tonnes of food wasted worldwide. It's barbaric really that there are Africans who are dying in the hot sun from malnutrition while landfill sites overflow with towers of food which could have saved them. Quite how, and perhaps more pertinently when, you raise this issue with your children is, of course, your choice. The important point is that you impress upon their little minds that food should be treasured and enjoyed, not carelessly wasted. I hope that at only 22 months Bert is beginning to grasp that he should only ask for food when he wants it, and I hope we set a good example in terms of meal planning, conscientious food shopping, and a genuine passion for all food - it is probably one of the main topics of conversation in the Bishop household - Liam and I are secretly hoping our passion will rub off on Bert and he might one day be a Michelin starred chef! Ha....you can but dream! Yep...he definitely loves his food! Especially if it's chocolate-covered!